The transformative power of Early Childhood Development (ECD) for equitable development. This publication is one of the many ways that our network has sought to share interesting and new knowledge for cross country learning. Within the pages of ARNEC Connections, you will find in-depth research summaries, field experiences and unique initiatives from the region. This is a publication for ECD professionals by ECD professionals. All articles are contributed by individuals who are ARNEC members and/or are working within the field of early childhood. Early Childhood Education in Australia. Maybanke’s legacy in the 21st century. Maybanke Anderson initiated social reforms, which have improved the lives of countless women and children in Australia. If this were the United States, by now there would have been a Hollywood feature film about Maybanke Anderson, no doubt with Meryl Streep playing the lead role. But this is Australia, so when women vote on election day they do so without knowing that at the time of Federation Maybanke's strategic intervention opened the door for Australian women to be able to vote in the new Commonwealth, nearly three decades earlier than was possible for women in the United Kingdom, for example. But votes for women was only one of the social reforms for which we can thank Maybanke Anderson, as documented in the 1997 biography by Jan Roberts. 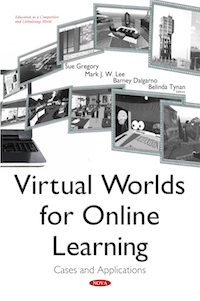 This book showcases contemporary examples of three-dimensional virtual world use for Internet and web-mediated tertiary education from across the globe that cut across a range of disciplinary contexts and settings. By doing so, it seeks to promote scholarly dialogue as well as to assist the development and dissemination of good practice and best practices in the field. While there have been a number of other volumes published on virtual worlds and learning, many were written prior to the existence of mature applications and thus consist largely of early proof-of-concept reports; a number of practical or “how-to” guides for teachers considering using virtual worlds in their teaching have also been produced that have to do with either the technology or learning design. In general, much of what is available in the area is “show and tell” and does not engage deeply with theory or with key researchable questions and issues. Fills the gap in knowledge and understanding of homophobic bullying and discrimination in schools. 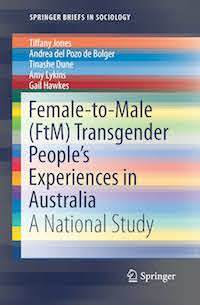 This book addresses policy research on homophobic and transphobic bullying in schools. 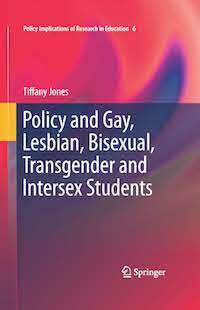 It covers quantitative and qualitative research into policy impacts for gay, lesbian, bisexual, transgender and intersex students. It draws on a large-scale Australian study of the impacts of different kinds of policy at the national, state, sector and school level. The study covers over 80 policies, interviews with key policy informants and survey data from 3,134 GLBTIQ students. Since new guidelines were released by UNESCO, homophobic and transphobic bullying in schools has become a key area of interest around the world. There has been much pressure on educational leadership to engage with these issues since the UN released international human rights legislation on sexual orientation and gender identity that have implications for student rights. The book presents statistically significant correlations between specific types of state and school level education policies that explicitly named homophobia/GLBTIQ student issues, and lowered incidence of homophobic bullying, lowered risk of suicide and self-harm for these students. It includes stories from policy makers on how the policies came to be (through lawsuits, ministerial inquiries and political activism), right through to the stories of students themselves and how they individually felt the impacts of policies or policy lacks. International contexts of homophobic and transphobic bullying are discussed, as well as recent transnational work in this field. The book considers the different types of collaborations that can lead to further policy development, the transferability of the research and some of the benefits and problems with transnational policy adoptions. Includes insights into how to teach critical thinking and problem-solving skills, and provides a wide range of tools to help pre-service teachers enter the teaching profession. 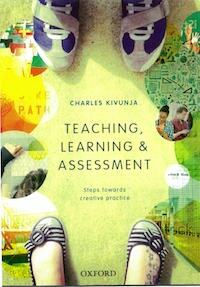 Teaching, Learning and Assessment: Steps towards Creative Practice takes the view that teaching, learning and assessment are not three separate aspects of an educative process but are inextricably interconnected dimensions of a holistic education. It proposes a new vision of curriculum and pedagogy, in which teacher education students from a range of backgrounds can become effective teachers by challenging their higher-order thinking and developing their critical thinking and problem-solving skills. Education for Sustainability is a key priority in today’s schools, as our society seeks to find a balance between environmental, social, cultural, political and economic imperatives that affect our future. As young children will become the next generation of adults, it is vital that they are educated about sustainability issues, so that they can learn to make informed decisions and take positive action for a sustainable world. Teachers are ideally placed to educate for sustainability issues, and indeed have a responsibility to do so. However, they often lack support and experience in this area, and constraints of current curriculum priorities can inhibit Education for Sustainability being taught effectively in many classrooms. 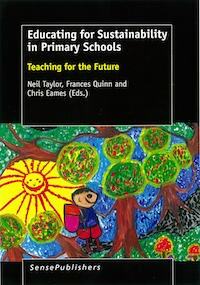 Educating for Sustainability in Primary Schools: Teaching for the Future addresses this problem by showing how Education for Sustainability can be developed within and across all areas of the primary curriculum in the Australian and New Zealand contexts. The book provides a range of educational approaches and examples of activities to support teachers in addressing national requirements for teaching the major primary curriculum learning areas, while simultaneously educating for sustainability. This integrative approach to primary education can promote knowledge of, positive attitudes towards and suitable action for sustainability in relevant, meaningful, enjoyable and creative ways. 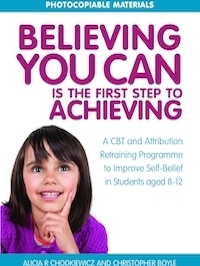 This book is a valuable resource for all primary teachers who wish to make a real difference to educating children for the future. Transitioning from place to place has been identified as a key marker of many teachers’ lives. Notions of place and transition have been researched for new teachers as they move from university to rural teaching positions; and, for experienced teachers who may move from school to school, town to city, city to rural town. Since 2002, the Bush Tracks Research Group has explored the lived experience of teachers in rural schools. 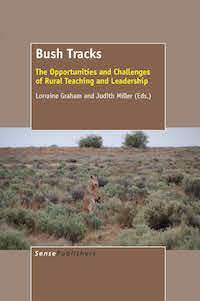 Bush Tracks: The Opportunities and Challenges of Rural Teaching and Leadership is a compilation of more than a decade of research conducted by this multidisciplinary group of academics from the University of New England, New South Wales, Australia. Employing a variety of methodologies, these researchers have worked to understand the intimate lives of teachers working in rural schools – the personal and professional challenges of being in relentlessly close proximity to students and their families; the supports needed to continue professional pathways; and the opportunities for accelerated leadership, all while living in the ‘fishbowl’ of a rural community. 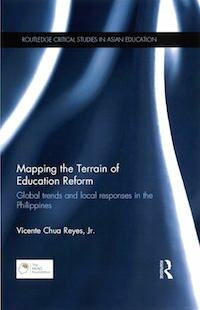 Chapters also explore the working lives of small school principals, specifically, some of the innovative methods they use to circumvent metrocentric policies; how ingenuity can resolve challenging teaching and leadership situations; and, what can be done to reconcile sometimes conflicting roles. This book will be of interest to all teachers who have ‘gone bush’, or have ever wanted to; and, to teacher educators who want a text that is nuanced in discussing the challenges and opportunities of teaching in rural schools. 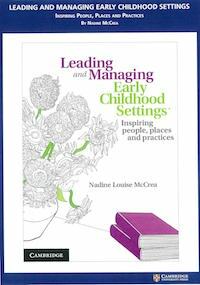 Leading and Managing Early Childhood Settings: Inspiring People, Places and Practices examines what it means to be a leader, manager and administrator across the early childhood education field. The first section of the book introduces readers to core concepts, including self-understanding through professional reflection and consideration of people's beliefs and values. These chapters explore the challenges of working within various early childhood settings and the importance of connecting and communicating with families and the broader community. The second section considers four key roles that early childhood professionals undertake - team stakeholder, policy designer, pedagogy creator and rights advocate. This book challenges readers to make links across research, theories and everyday practices by thinking, reflecting, sharing with others and writing stories. The storytelling approach guides readers through the chapters and explores the themes of embodiment and sustainability. Leading and Managing Early Childhood Settings is an invaluable resource for pre- and in-service educators alike.